Subscribe to get deals from hundreds of merchants including the best of Windflower Florist and Gifts! Valid till 30 Sep 2019. Valid with a registered account on Windflower Florist. General terms and conditions apply.. Please always check with the merchant on the validity of the promotion before purchase. Valid till 30 Sep 2019. 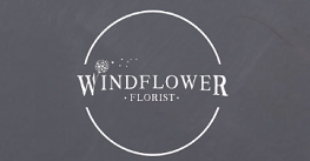 Valid with a registered account on Windflower Florist. General terms and conditions apply. 15% off (new customers) Enter promo code 'DBSXWF15' at checkout to enjoy offer. Valid for online purchases only. DBS General Promotion Terms & Conditions apply, visit DBS lIfestyle app or www.dbs.com/lifestyle for more inforamtion.. Please always check with the merchant on the validity of the promotion before purchase. 10% off (existing customers) Enter promo code 'DBSXWF10' at checkout to enjoy offer.